Continental Flooring offers many different types of products to help with the care of your new or old floor. 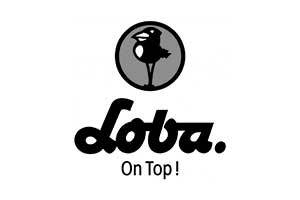 This included the top product lines from Bona, Loba and Lauzon. Regardless of its finish, your floor will quickly lose its luster if exposed to water. More serious damage is also possible, including warping and other problems. Wipe up any spills immediately with a soft, dry cloth, starting at the edges of the spill and working your way toward the center. Don’t let water stand on your floor, and never use wet cloths for clean-up. Do not mop sealed-and-waxed floors, even with a mop that’s slightly damp. The Bona Hardwood products sold at our showroom are excellent for a quick and easy-care product. Wipe up any spills immediately with a soft, dry cloth, starting at the edges of the spill and working your way toward the center. Don’t let water stand on your floor, and never use wet cloths for clean-up. Do not mop sealed-and-waxed floors, even with a mop that’s slightly damp. Water can be very damaging to Laminate flooring. The Bona Laminate products sold at our showroom are excellent for a quick and easy-care product. Wipe away spills immediately, allowing any liquid to stand on cork floors. Water or moisture in any form can seriously damage the floor. Sweep or vacuum your cork floors regularly. Dirt, dust, grit, or debris may scratch the surface of a cork floor. Regular cleaning will prevent these abrasions. Damp mop the floor at least once a week or as required. Because excess water can harm the floor, be sure to use only a lightly ‘damp’ mop. Use only recommended cork floor cleaners to clean heavy stains or spills. Don’t use harsh cleaners on the floor as it will damage the Luxury Vinyl. Don’t use steel wool to scrub the floor as it can take away the shine. Avoid splashing too much water on the floor, although it is water resistant over time it may cause damage. Don’t let your furniture scrape on the floor. Felt adhesive strips should be placed on the legs of chairs, tables and sofas. The Bona Vinyl products sold at our showroom are excellent for a quick and easy-care product. Vacuum frequently, using a canister vacuum with special carpet attachments. Remove as much of the spill as possible using a blunt knife or spoon for solids, blotting up liquids or using a wet/dry vacuum for large spills. Never scrub or rub the carpet during the stain removal. Always work from the outside of the stain in towards the middle. Carpet should be professionally steam cleaned approximately every 12 – 18 months. Sweep or vacuum your tile floors regularly to keep them from getting dull. Tiles may be resistant to dirt, but sand and grit can dull the surfaces. Clean tile with mild detergent and clean water, using a rag or chamois-type mop rather than a sponge mop. The latter pushes dirty water into grout lines and makes them harder to clean. Be sure to change the water frequently while mopping; dirty water equals a cloudy floor. 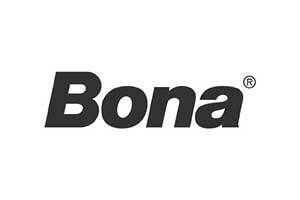 The Bona Tile products sold at our showroom are excellent for a quick and easy-care product. Dirt, dust, and grit can also damage your floor. Tracking dirt, dust, and grit can dull its finish and cause scratches that can only be repaired by refinishing the floor. Sweep your floors regularly. Invest in a good broom that features exploded tips that trap dust and dirt, as opposed to simply spreading it around. Dust mops can also be helpful in keeping dirt, dust, and grit under control. 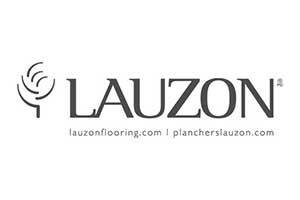 The Bona Dust Mop or the Lauzon Care Kit sold at our showroom are excellent for this. Vacuum frequently, using a canister vacuum with special hardwood floor or carpet attachments (depending on the floor). Never use an upright vacuum with beater bars. They can cause dents in your floor’s finish. Use doormats at the entrances of your home to help trap dirt and grit. Clean them regularly. Use area rugs or small sections of carpet placed inside doorways and in areas like kitchens where spills are likely to occur. Don’t use throw rugs with rubber or vinyl backing without first determining whether they will affect your floor’s finish. Some materials in the backing can react with certain floor finishes, discoloring or causing the finish to become dull. Don’t let even damp throw or scatter rugs sit on the floor. Check the rugs frequently and make sure damp rugs are removed. Place glides made of felt or some other fabric under the legs of furniture to prevent scratches. Clean the glides regularly to ensure that dust and grit do not become embedded. Use barrel-type casters instead of ball casters to prevent dents. Use non-marking rubber casters instead of plastic or metal. Lift furniture when moving it to avoid scratches in the floor’s surface.